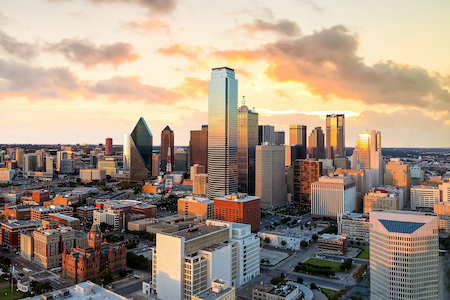 Home to a plethora of colleges, The Dallas Fort Worth Metro is a sprawling metroplex with plenty to offer. There are neighborhoods for every kind of person ranging from old downtown areas to places out in the suburbs. Residents like it in Dallas for a number of reasons. It's a big city so there is always something to do - there are more restaurants, museums, concerts, plays, and professional sports events than anyone could ever attend. There is an incredible number of neighborhoods to play and live in. Downtown, Uptown, Turtle Creek, Oak Lawn, West End Historic District, and the Arts District are just a few. Plus there are many suburban towns in and around Dallas/Ft. Worth that are interesting places to live. Many of the people who spent their careers in Dallas would like to retire in the area. Folks from smaller towns retire here for for more excitement. Fortunately the builders of active adult and 55+ communities have obliged with many developments to choose from (see link to Dallas/Ft Worth Active Communities at right). Real estate prices have been stable in this Metro - the median selling price in the second quarter of 2018 was $268,200, according to the NAR. Prices are higher in the city or in nicer suburbs/developments. Dallas is a real city with plenty to do. It is possible to live a low-key residential life in one of the city's many interesting neighborhoods, or choose a modern 55+ community out of town. Dallas has 38 colleges and universities and many wealthy people who want to keep this a great city. Dallas has its shortcomings. Violent crime is higher than some (but not all big U.S. cities). It has sprawl and traffic, along with its share of poor neighborhoods. Dallas is in north central Texas on the plains. It is comfortable but cool in winter and quite hot in summer. 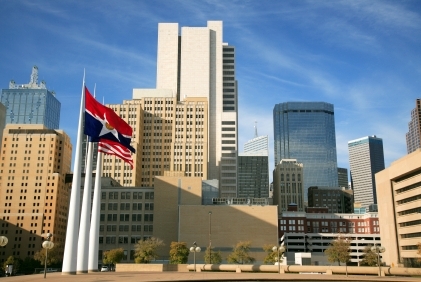 Dallas Museum of Art, Meyerson Symphony Center, Dallas Performing Arts Center, Trammell and Margaret Crow Collection of Asian Art, Nasher Sculpture Center, and Dallas Contemporary are just some of the major cultural institutions that the City and its wealthy residents have created and support. The Arts District, the Cedars, and the Bishop Arts District are all busy offering cultural opportunities. Dallas has professional teams for every major sport. The crime rate is high, as in most large cities. As a major city Dallas has every form of transportation, including the colossal Dallas Ft. Worth International Airport. Mass transit includes a large light rail system.